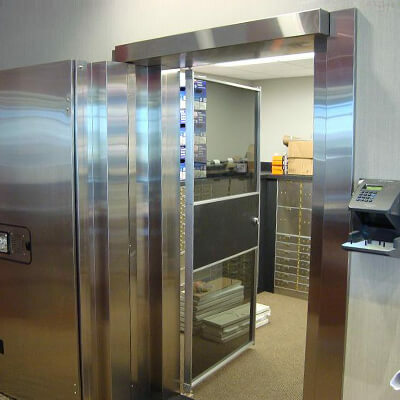 International Vault's UL listed, GSA rated vault doors are designed for the highest level of asset protection, serving an international customer base of the most demanding and discriminating clientele. All vault doors can be configured with emergency exit devices and optical devices for looking into or out of the secured vault. 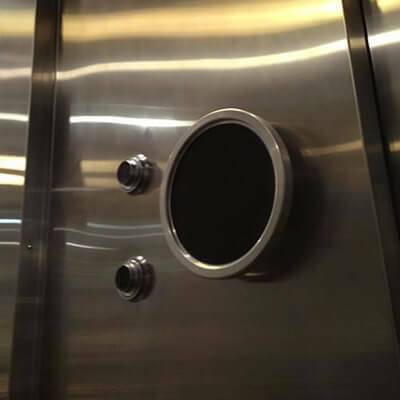 Combining cutting edge security devices with full stainless steel cladding (an uncommon extra from International Vault), our vault doors are suitable for a wide variety of applications, from bank vault doors and precious metal storage to jewelry vaults and armored car industry vaults. To learn more, call us today at 1800 465 656, or visit our easy-to-use contact page. Even when it comes to vaults, one size does not fit all. At International Vault, our designers and engineers are waiting to tackle your specific security challenge with over 30 years of experience handling the most difficult applications worldwide. That's why our line of vault doors is engineered to complement our range of custom and customizable vault solutions. You can count on International Vault to match the right door with the right vault design to provide you with an exceptionally secure result, regardless of your local environment, wherever in the world it may be. Call us today. Your challenge is our opportunity to protect your most valuable assets - 1800 465 656.